Family owned "Mom and Pop" motel featuring squeaky clean rooms, great prices and comfort. Located in the middle of Wind River County just north of downtown Riverton close to shopping and restaurants. Our amenities fit the business or recreational traveler, including fax, free high-speed Internet, guest computer, HBO, queen beds, microwave, refrigerator and coffee pot. 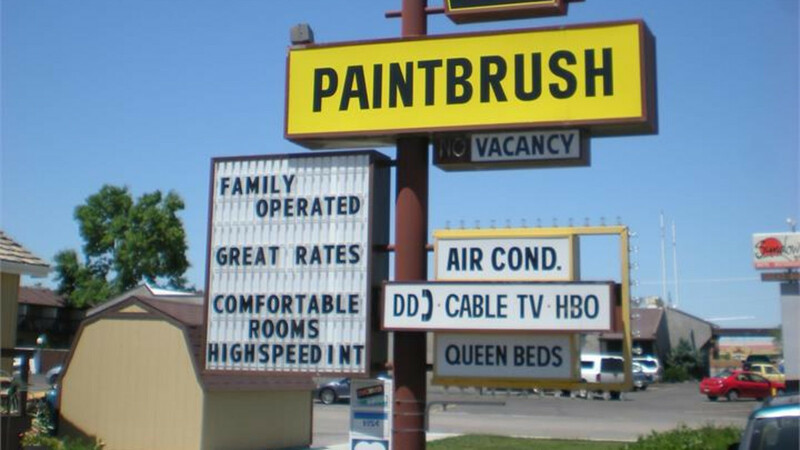 Please check out our website at www.paintbrushmotel.com. Trip Advisor Approved!